What The Chuck?!? Bipolar muth now embracing “Paultards”? Muth goes onto say that because a ‘principled Ron Paul supporter’ lost the Clark County GOP chairmanship there is now no hope for the Republican party. 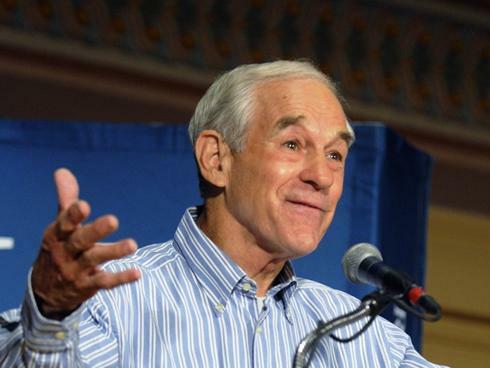 Since 2008 chuck muth has repeatedly gone out of his way to belittle Ron Paul and his supporters. Unfortunately chuck muth has a very long record of disparaging ‘principled Ron Paul supporters’. In fact, muth even claims to have coined the distasteful term “paultards” and has used it on his blog liberally. It’s not much of a surprise to see chuck muth attempting to now curry favor with Ron Paul Republicans, that’s what happens when your convictions are for hire. Too bad for chuck he burned the Ron Paul bridge years ago, and more than once. Welcome to Muth vs. Muth (first of many). It’s a simple game really, in fact it’s so amazingly easy to play you could dedicate an entire blog to Chuck Muth going back on his ‘principles’. Since Muth actually has no principles, the game is almost ruined for lack of challenge. Nevertheless; here goes, three quotes from Bipolar Chuck. Best two out three wins. Final Score by split decision: Two points for extending sunset taxes. One point for not extending sunset taxes. The winner, and still the reigning champion of bipolar babble, Chuck Muth! You are currently browsing the archives for the Muth vs. Muth category.